As we enter the new calendar year on the Octave Day of Christmas & the Feast of the Blessed Virgin Mary, Mother of God – the last two hours of 2010 will be spent in Eucharistic Adoration at the Pilgrim Center of Hope Gethsemani Chapel. At midnight, Deacon Tom will impart Benediction. It will be a time spent at the “manager”, adoring Christ, praising God for His gift in His Son, imploring His grace and mercy and consecrating ourselves and families to Him. May you and your loved ones have begin “afresh with God”…may the Holy Family bestow their blessing upon you as we continue our pilgrimage in life. Tom and I met Sister Salvatorina Camilleri in 1986 while staying at the Mt. 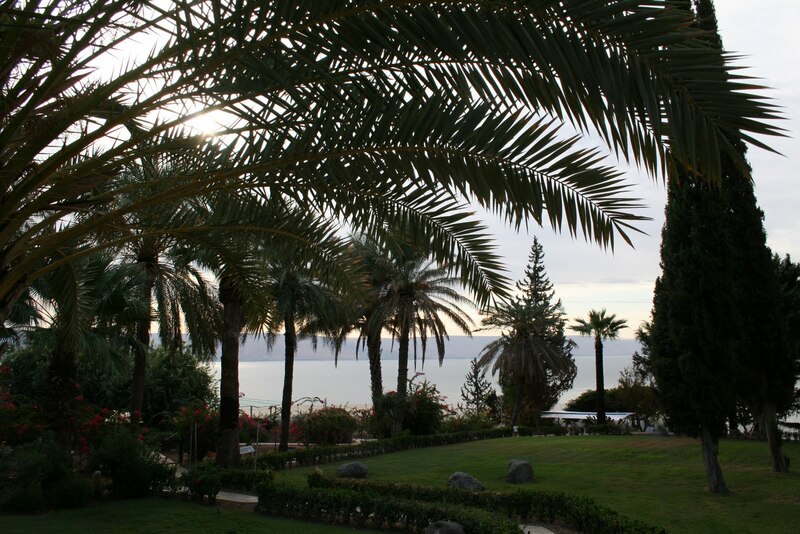 of Beatitudes Pilgrim Hotel overlooking the Sea of Galilee. 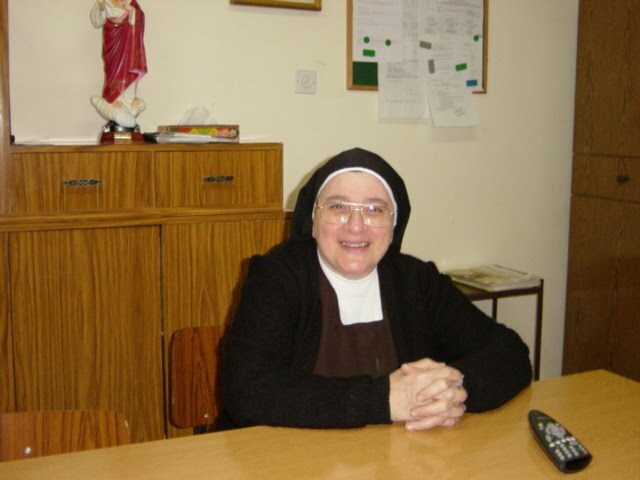 A “Franciscan Sister of the Immaculate Heart of Mary” founded in the 1800’s by Mother Maria Caterina di Trioni, Sister Salvatorini loved her vocation and service in the Holy Land as sacristan of the Mt of Beatitudes Chapel. It was a big shock when Sister Bianca, Sr. Salvatorini’s blood sister living in New Jersey, phoned us on Christmas Eve with the news. We were, in fact, on our way to Christmas Eve Mass with family. Tears filled my eyes during the Christmas liturgy as I thought about the death of Sister and of other friends we met in the Holy Land who have died. Reflecting on the celebration of Christ’s birth and His gifts of joy and peace; I thanked God for the birth of Christ. We have a Savior who came to us in poverty, died for us and gave us the gift of eternal life! We know Sister Salvatorina has received this gift. I could hear her words in my heart: “Go to Jesus! Keep loving Jesus!” She is in a place where she can help us with her prayers! Friends we have met in the Holy Land who have entered eternal rest. Yes! We, too, can have a holy family. The universe and all of creation was created by God with a certain order that maintains harmony and peace. As God gave mankind dominion over his creation, he expected us to maintain the order he established. In the first reading we see one aspect of maintaining that order – we are to honor our Father and our Mother. This is such an important part of God’s plan that the promise is given – “Who ever honors his father . . . when he prays is heard.” Being obedient to our parents helps us to learn be obedient to God. In the second reading, Paul gives us additional insights of what we must do to keep order. He says, “Let the peace of Christ control your hearts.” In Christ we will find the strength we need to maintain order in our relationships as husbands and wives, parents and children. There is a right way to fulfill our role, whatever it is. And, of course, the reality is, even if we try to faithfully do our part, it doesn’t mean that others will be faithful. I’m sure that there are many parents here who take their relationships with God seriously, and even though they have made every effort to guide their children in the right way, some have rebelled. Peer pressure is very difficult to overcome. And maybe there are some children here who have felt called to a religious vocation and have not received support from their parents. Ordering our life to God is a daily struggle which calls us to perseverance in prayer and the sacramental life. Our Lord offers us all the grace we need to take one day at a time, and to trust that in the end everything will be okay if we persevere. It doesn’t mean things will not be difficult; it does mean we will always have hope. 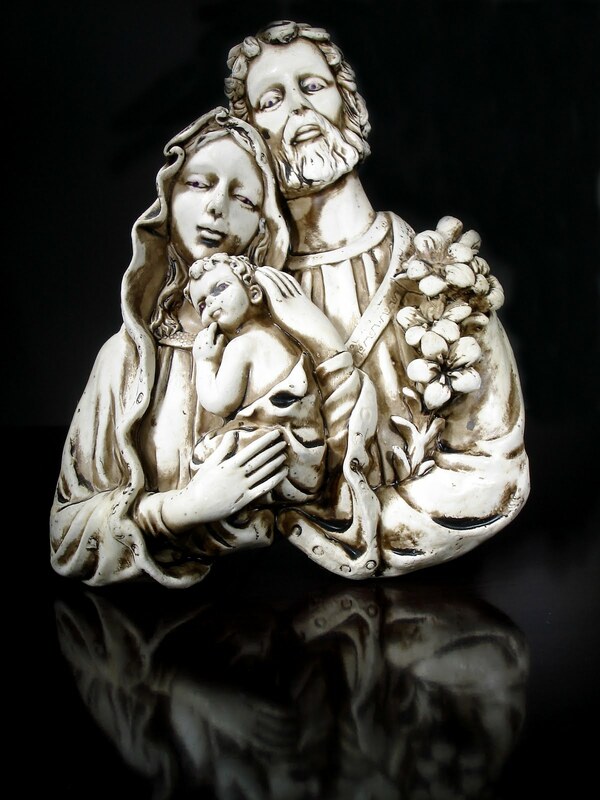 We see in the Gospel that the Holy Family was not spared the difficulties of life. Even though they were the holiest, most important family in the history of the world they were still vulnerable to the evil intentions of others. Their protection was their immediate obedience to God. They also faithfully followed the religious practices of their time as we know by their visits to the Temple. That is how they maintained their connection with the Heavenly Father and fulfilled His plan. The same is true for us. We also need our Heavenly Father’s protection which we receive when we are faithful to what He has revealed to us. We will still experience difficulties, but we will always have hope. If we stay close to Him, He will help us to have holy families. It is not news that in this country, the most powerful country in the world, the institution of family is at a point of crisis. 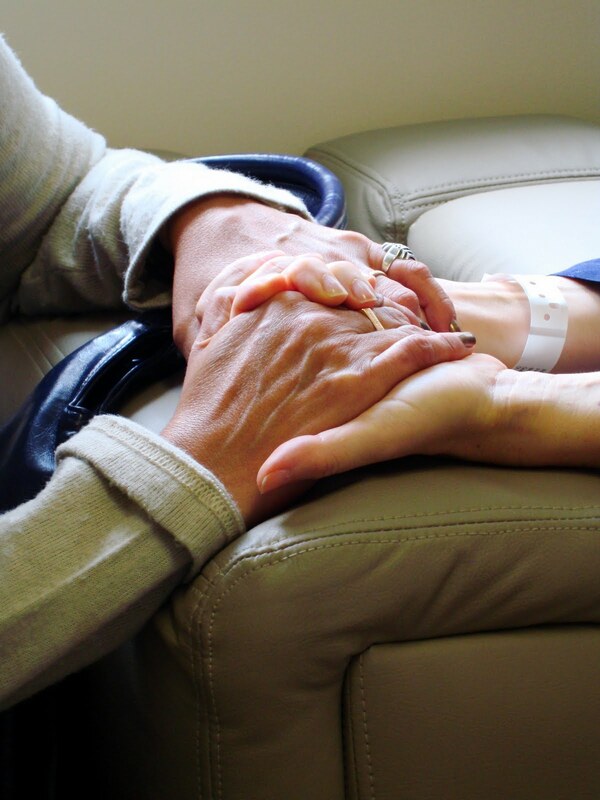 Almost every family has experienced some degree of trauma – whether physical, economical, psychological, or spiritual. Almost every family has a relative that is divorced. A recent statistic states that only one third of children in this country will live with both biological parents until they reach the age eighteen. The greatest need of our time is the renewal of the family; and the only way it can be renewed is with the help of God’s grace; by being faithful to what God has revealed to us through the Scriptures and the Church, even if others are not. Our families are God’s plan for the future of the world. The family is intended to be the domestic Church where husband, wife and children are joined together in prayer and grow together in faith. The family is where vocation should first be discovered. Even if our family life has not been what it could have, it is not too late to begin anew. Whether you are married, divorced or single, it is not too late to ask “Wisdom, to teach us in her ways to go.” The way people have persevered through the ages is by attending mass every weekend (during the week, if possible) praying daily (privately and with people we love), reading Scriptures, frequenting the Sacrament of Reconciliation and forgiving each other for hurts experienced, by spending time before the Blessed Sacrament, by reading the lives of the saints and by continuing to be formed in the faith, and by being generous with our time, talent and treasure. God has a great plan for each of us if we allow Him to guide us by way of the Scriptures, the Church, the lives of the saints and His wisdom. It has to begin first of all as a desire in our hearts and continues when we share this desire with others, especially those we love. Jesus, Mary and Joseph, pray for us. Help us to be holy! That wasn’t quite a satisfactory answer at the time. I smiled, but my eyes squinted into the waters of the sea, searching for a better answer. A few minutes later, I walked away. Today, however, I am beginning to believe in God’s response. As my friends and family will tell you, I’m very hard on myself. I’ve worn myself out all my life, earning high grades, winning awards, gaining leadership positions, trying to be a good daughter, a nice sister, a kind niece, a polite granddaughter, the perfect girlfriend, the hardworking employee, volunteering at church, serving the community, starting ministries, doing favors. Whenever I fail to meet my high standards, I become anxious and frustrated. I question the extent of God’s love for me. Intellectually, it always made sense that God loved me. I knew for certain that He loved everyone else. But in my heart, I was never really, really sure about God’s love for me. Has there ever been a time in your life when someone wanted to assure you of their love for you? Did that person invite you to come and be with them? I think that’s what God did for me in the Holy Land. He invited me to the place where He became like me. Once I said yes, He provided the means, the money, the pilgrimage, and the availability. Amazing. That is the God of the Universe. But the key is this: God invited me to the place where He became like me. In Nazareth, God became like us. He was conceived in the womb of a woman. He was born in Bethlehem. Believe me, I’ve heard this just as many times as you have. Before I saw them with my own eyes, these places were honestly just names in very important stories. Now? I want you to know that they are REAL places. I walked in their roads. I spoke to the inhabitants. I smelled the open-air marketplaces, shops, and bakeries. They are places with dirt and trees and sky. And as real as those places are, so is Jesus. Jesus is a real person. Stop—think about it! He walked through real roads, spoke to real people, smelt the real marketplaces. He got dirt on his real feet, and picked fruit from real trees, and the sky really reflected in His eyes. Jesus is a real human being. And He really does love you. To me, this is what Christmas means. Christmas is not a nice wintertime holiday when we take time off of work, eat food, and see our families. Christmas is not a gift exchange. Christmas is not Santa Claus or elves or the North Pole. 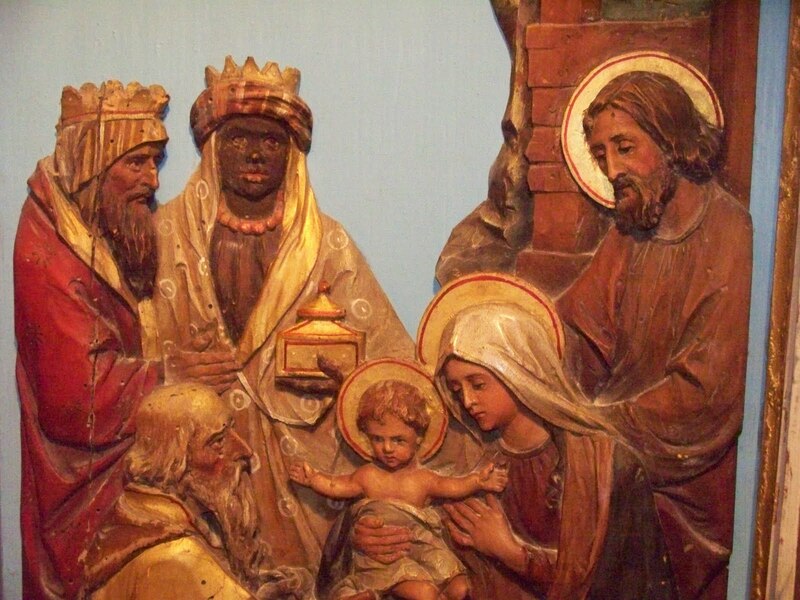 Christmas is not about a nice little baby who was born to a beautiful mother in a mysterious, foreign-looking city. You want to know the real meaning of Christmas? Then erase every Christmas card you’ve ever seen from your memory. Instead, go outside and look at the sky. Look down at the ground and run your finger through the dirt. Christmas means realizing that Jesus did the same things. It means knowing that Jesus is a real, human person. And He is also really God. He loves you. His heart is beating for you. Christmas is not about a myth, or a story, or a dreamlike fantasy. Christmas is about a reality. God became a real human person because His love is that strong. He wanted you to know His love. He wanted you to know it with the same certainty that you know what it’s like to eat an apple or scrape your knee. He is real. Now, how does that change your life? 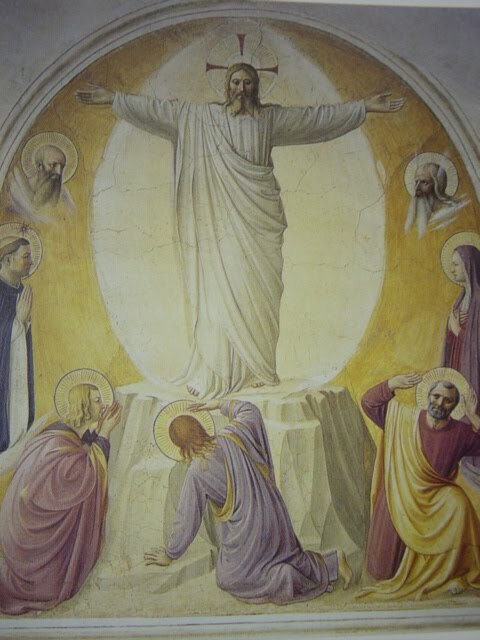 This question is presented to Jesus (Matthew 21;23-27); it is a testimony that those who ask it are hard of heart. Those who were docile recognized that it was by the power of God that Jesus spoke and healed. This is the same authority that has established the Church and has given us the Sacraments to encounter Jesus. This is the same authority that says “your sins are forgiven” in Confession. It is the authority of God, in Christ that makes us whole if we are faithful to what He has revealed to us through the Scriptures and the Church. 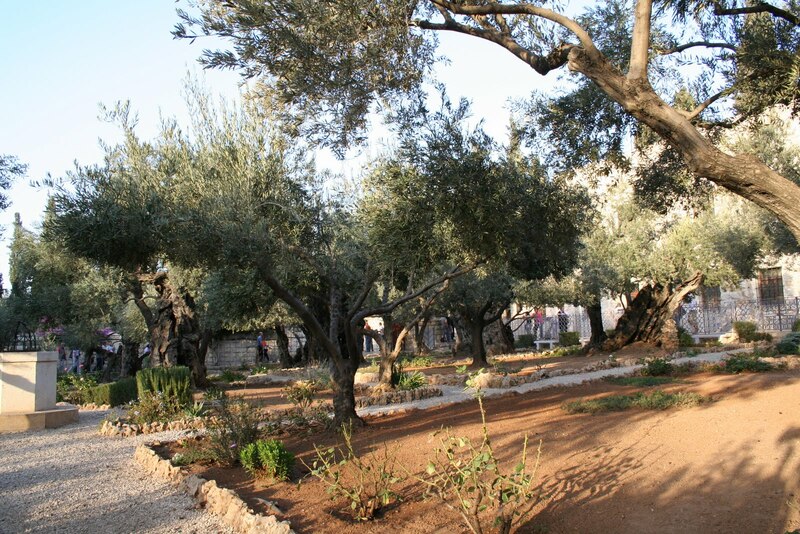 After being in the Holy Land forty times; each time is a fresh experience, as if it was our first time! We learn something new each time whether it be a historical fact, an Archeological discovery, a new friend or learning about the people of the Holy Land. Recently, a friend of ours, Father Alex, a Franciscan priest who lived in Jerusalem gave us a book as an Advent gift. The book is about Mother Marie-Alphonsine, the foundress of the Holy Rosary Sisters – the largest Catholic Women’s religious Order in the Holy Land and the only native Palestinian one. 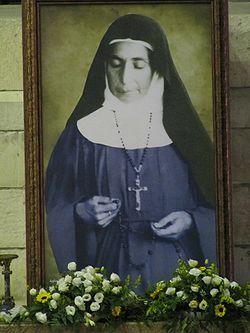 She was just beatified a year ago in November in Nazareth by the Latin Patriarch Fouad Twal. She is buried in a building, owned by the Rosary Sisters in Jerusalem; the building is also used as a guesthouse for pilgrims. In fact, it is located next to the U.S. Consulate. Although we knew about the Rosary Sisters, we hadn’t really known the story of their foundress, Mother Marie-Alphonsine. For us – Father Alex’s gift to offer us the opportunity to learn about this role model for the local Palestinian Christian community – Mother Marie-Alphonsine during this Season of Advent. Advent is a time inviting us all to prepare for the celebration of the birth of Christ and to “prepare” the way of the Lord’s second coming! How are you preparing for the celebration of Christmas? Have you considered taking up a “reading project” in these days of preparation? Why not read about a role-model that has inspired others. There are many! The Catholic Church lists thousands; some simple and some extraordinary.